Officials from the Department of Social Services have admitted there is no international evidence that the Abbott Government’s controversial plan to make young people wait an extra four weeks before being able to access income support will help them to find work. At yesterday’s Senate Committee hearing on the Social Services Legislation Amendment Bill, DSS representatives were asked repeatedly by Greens Senator Rachel Siewert to provide evidence that the four week waiting period would boost employment. Group Manager of Payments Policy at the DSS, Cath Halbert, conceded the policy was not based on any international evidence. 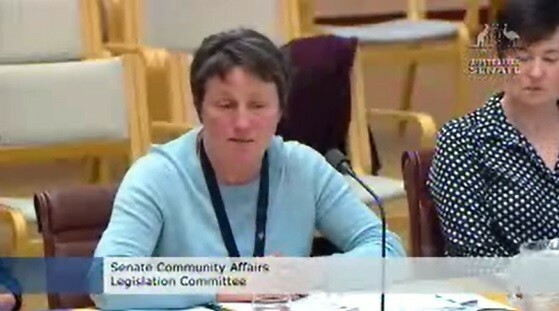 Cath Halbert from the DSS gives evidence at the Senate Committee hearing. Senator Siewert told Pro Bono Australia News after the hearing that the Government should not be pushing forward measures that were not proven to have any positive impact on youth employment. “It’s ideologically motivated and they’re coming from a punitive approach. We don’t need to be forcing people to live on nothing for four weeks, especially when they couldn’t quote any international evidence that it will even work,” Senator Siewert said. “The social sector’s clearly saying they don’t support the majority of the measures in the Bill. The hearing also heard it was expected that 75,000 people would serve 85,000 waiting periods, as some people will serve more than one, while 83,000 will be exempt from being forced to wait for income support. 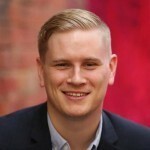 ACT Liberal Senator Zed Seselja, who was Chairing the hearing, pointed out that “there would be more people getting an exemption than serving a four week waiting period”. Senator Siewert said this was a “nonsense” defense of the new measures, and that by setting aside $8.1 million for emergency relief the Government was showing that it was aware that it would be placing young people in unnecessary hardship. President of the National Welfare Rights Network, Kate Beaumont, who also gave evidence at the hearing, said young people would be scarred if the Bill was passed. “While the new policy is not as punitive as last year's offering which would have made job seekers under 30 wait six months without payment, it would still place 75,000 young people in severe financial hardship, leaving them without food and money to pay their rent,” Beaumont said. Shadow Minister for Families and Payments, Jenny Macklin, said Labor would be fighting against the Bill. “Despite having no evidence to support its policy and widespread condemnation from the welfare sector, the Abbott Government is continuing with its cruel cuts to young jobseekers,” Macklin said. “If Tony Abbott gets his way young jobseekers under 25 will be pushed into poverty and hardship. Senator Siewert said she was hopeful that the crossbench Senators would help block the Bill if it was brought to a vote. The Senate Committee is due to hand down its report next week.